Long-time fans of Johnny Depp will find comfort in knowing that one of the most charismatic actors of our generation still has it! Indeed, these dedicated fans have endured such woeful films as Mortdecai, Transcendence, and Dark Shadows, and, let’s face it, the Pirates franchise has become rather stale; to lose faith in Depp’s films would have been completely understandable. That is why being casted as the notorious Boston gangster, Whitey Bulger, couldn’t have come at a more critical point in his acting career. Depp delivers a bone-chillingly dark performance, a refreshingly different portrayal from his silly roles as of late. The blue contacts and receding hairline make Depp deceptively unrecognizable, which he takes full advantage of, allowing himself to become completely submersed in depicting one of the FBI’s most wanted criminals. Coupled with a cast of Bostonian-accent-mastered actors (the likes of which include an especially impressive Benedict Cumberbatch and Joel Edgerton), Depp leads this tense, suspenseful charge. The film recounts the dramatic, true story of James “Whitey” Bulger’s uprising that began in the late 70’s in South Boston and would eventually stretch all the way to Miami, FL by 1990. During his criminal reign of terror, Bulger distributed massive amounts of drugs (a significant portion of which went directly to school children), laundered money, and committed dozens of murders across the east coast. Most compelling about this uprising was how the FBI virtually allowed it to happen in the first place – all of this being the premise of the gripping Black Mass. If there is any fault in the movie, it’s the dragged out sequences of FBI dialogue-filled plot lines that wane for too long. It’s understandable that these scenes are necessary to provide the details of Bulger’s uprising; however, all the moments with Depp shine so much to the point where you wish the film were proliferated more with his cynicism. 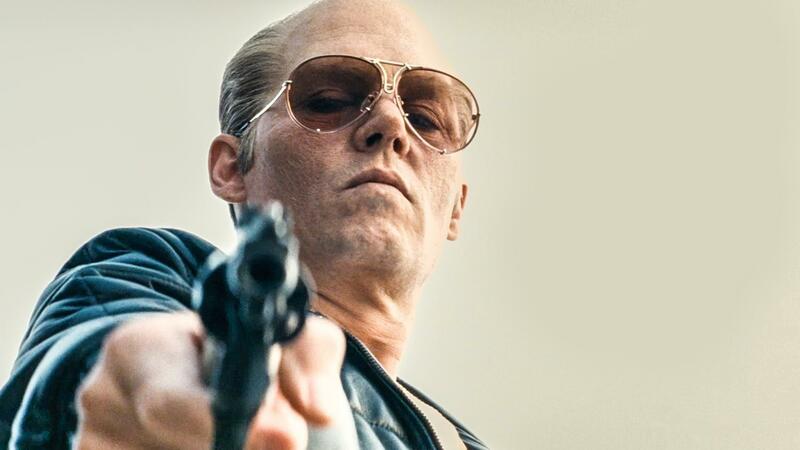 The story alone is compelling enough to warrant a viewing of Black Mass, but it is Depp’s performance as well as the rest of the cast that make this movie tantalizing.